I am always looking for new talent to help visualize the stories in my head. At this time, I only have use for artists as I usually do all the writing myself as well as the lettering. Please send 5-7 sample pages of sequential art (not pin-ups). 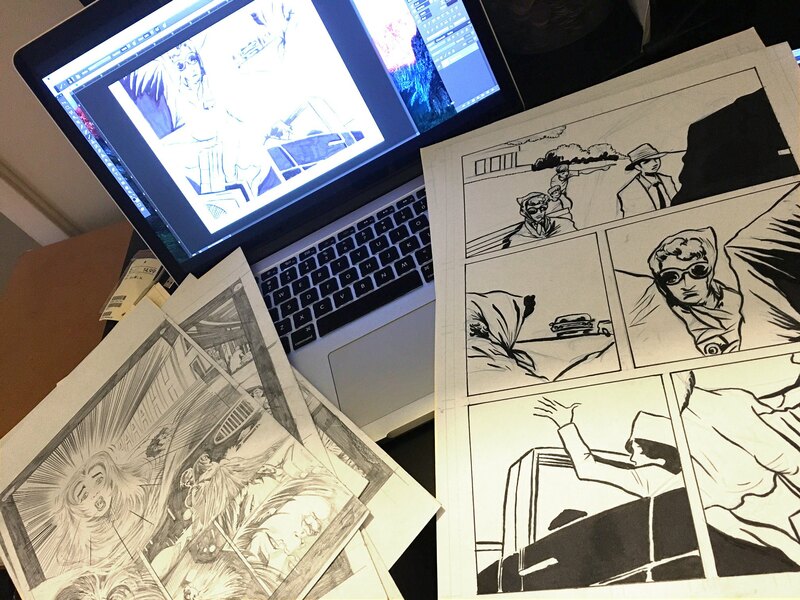 Links to online portfolios are fine as long as they show sequential art. We accept mostly artists who can do finished art, which means you must be able to ink your own pencils. Artists must be comfortable working on Science Fiction, Fantasy, Espionage, Action Adventure, Thrillers and Horror. Good acting in your work is a must. Please send all submissions and any questions to ramon@scifies.com. • Examples of the level of quality we are looking for. • My successful Kickstarter campaign for Scifies. • How I work with artists.